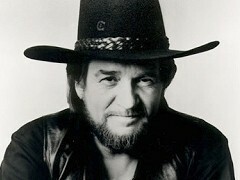 The second voume of the tribute project to Waylon Jennings titled "The Music Inside - Volume II" comes out January 24. This disc features musical tributes by Dierks Bentley ("Lonesome, Onry, And Mean"), Montgomery Gentry ("Dukes of Hazzard Theme Song"), Justin Moore ("I Ain't Livin' Long Like This") and others. The one and only Jessi Colter, the widow of Waylon's, wrote a special song for this project called "Mama". 02 Waymore's Blues - Hank Williams Jr. The recording sessions of the first volume in late 2010 marked the first time in 7 years the original members of the supergroup Alabama got in the studio to record Jennings' classic tune "Are You Sure Hank Done It This Way". The project Music Inside has been planned as a trilogy and the final volume is scheduled for release in early 2013.